Why should I use Cloudy2Clear? Cloudy2Clear specialise in replacing the glass in double (or triple) glazing when the units are steamed up, etched, scratched or broken. Very few window companies offer this service as they are more interested in replacing the complete window. Cloudy2Clear are the ONLY nationwide glass replacement company, offering our services from an extensive network of local branches. We will not try to “upgrade” you to a full window replacement that, 99 times out of 100, you will not need or want. Cloudy2Clear receive our replacement glass from manufacturing organisations which are geared up SOLELY to manufacture hermetically sealed glass units. All units are manufactured to the highest European standard BSEN 1279 (our units are therefore tested to withstand the highest temperatures likely to be experienced in the Mediterranean, to the lowest in Scandinavia ). All units are supplied with a full 25 year guarantee from the day of fitting. Given all the above we can offer a superb product at highly competitive prices with the peace of mind of a full guarantee. My local window company said I need a completely new window, is this right ? It might be ….. if a (wood) frame is rotten, or there has been physical damage in some way, then a new frame might be needed, but 9 times out of 10 the problem with current double glazing is nothing to do with the frame; it is a failure of the glazing unit, either through physical damage or condensation getting into the unit, and all you need to do is replace the glass. Obviously it is in their interest to try to sell a full replacement window if they can, but in many cases, there is no need for this expense. There is no secret to sizing in double glazing. We have all the laser measurement tools necessary to make sure our replacement unit not only fits EXACTLY like the original, but uses the same thickness and type of glass (see later). What if I don’t want all my windows done at one time? This is perhaps the best way to test our services, and to ensure we keep our promises. We do not expect a customer to invest everything with us right from the outset. Do you charge for quotations ? No, quotations are free of charge. 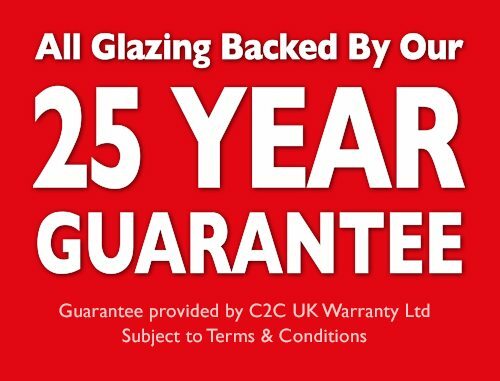 The double glazed units all come with a 25 year guarantee. This guarantee means something, as you will be able to contact us at any time and full responsibility for all aspects of the job lies with us. Who fits the windows? How do you replace windows in wood frames? 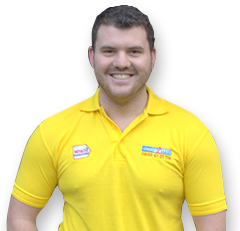 C2C employ experienced trades people with a track record in the glazing industry. This is especially important in dealing with wooden frames where the glass is held in both with putty and beading. It is vital that any work carried out does not damage the beading which in most cases, we will endeavour to reuse so that there is no need to paint or stain the frame after the work is carried out. My windows are Georgian, with lead beading and a bevelled edge, in light blue. Can you help? Well, this particular example might be a struggle to reproduce, but C2C can provide units with leaded diamonds, Georgian bars, in any pattern glass. In this case, rather than simply taking the measurements of a faulty unit and replacing it when the new unit arrives, we would take the damaged unit away to use as a template, (replacing it temporarily with plain glass ), so that we can reproduce your existing window exactly. What about safety and industry standards? C2C adhere RIGIDLY to the safety standards laid out by the current building regulations. This is for your protection, as well as ours. Not only will it mean a safer house for you and your family. The main requirement is that if we replace glass in windows at floor level (or up to 80cms above floor level), or in, or near doors, we will only provide toughened glass. If I have to change the glass units, can you improve the quality of them whilst you are at it? Absolutely. If you want to upgrade to thicker glass (from say 4mm to 6mm), C2C Insulating Glass or toughened or laminated glass, we can do this for you. Do you receive a FENSA CERTIFICATE when you have your Double Glazed Units replaced by Cloudy2Clear. NO – Only when a window is completely replaced, which includes the frame and the glass then a FENSA CERTIFICATE will be provided with that installation by the company who has installed that window frame. At Cloudy2Clear we only provide window repairs, the work carried out by Cloudy2Clear is that of a replacement Double Glazed Unit which is essentially a Repair to the window, which does not require a FENSA CERTIFICATE as we are only replacing the Double Glazed Unit and not replacing the Whole Frame. We will however comply to FENSA GUIDELINES and fit the correct Double Glazed Unit in accordance to FENSA GUIDELINES. Call Us Now on 0800 61 21 119 or use our Branch Finder to find the local branch of Cloudy 2 Clear Near You!